Obtaining another Maryland medical marijuana sentence | Jon Katz, P.C. Obtaining a medical marijuana sentence in Maryland takes substantial preparation time, and can be all the more challenging if the defendant does not have persuasive opinions from a medical doctor at the time of any sentencing. An October 2003 Washington Postarticle on Maryland’s then-new medical marijuana sentencing law referred several times to my views from the reporter’s interview with me. Three years ago, I blogged about converting a thirty-plant marijuana felony charge to a guilty plea to simple marijuana possession, followed by a successful medical marijuana sentence (a $100 fine) based on the defense’s showing medical necessity for my client’s use of marijuana for his severe and life-threatening sleep apnea. A few months later, I blogged about converting my client’s guilty disposition to a probation before judgment, which involves staying the entry of a judgment of guilt with or without a probationary period. The judge imposed no probationary period. Last month, I obtained another medical marijuana sentence, after a trial that led to my client’s conviction for marijuana possession (including many brownies, with the chemist finding marijuana in at least one of them) and possession of drug paraphernalia. In this instance, the prosecutor had all his witnesses lined up, although the judge did agree that my client did not consensually turn over marijuana to the police (but the judge refused —- on inevitable discovery grounds — to suppress the marijuana, finding that the police would have found the marijuana lawfully if not by the invalid consent, then by obtaining and executing a search warrant on my client’s home). Although not all defendants have the funds to pay a physician to render a medical marijuana opinion before any conviction — versus first seeing if a conviction takes place in the first place — my client invested in obtaining a medical marijuana opinion, in which the physician stated that not only was his use of marijuana medically necessary for his severe multi-year back pain, but that marijuana was still beneficial for offsetting the negative side effects of any analgesics taken for the back pain. 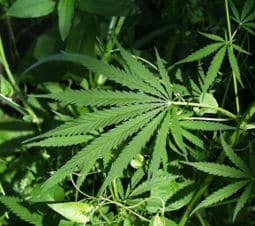 At sentencing, the prosecutor tried to pigeonhole the medical marijuana sentencing scheme as only applying to conditions as severe as glaucoma and HIV that do not respond to other medicines. I replied that Maryland’s medical marijuana legislation looks at medical necessity, and does not delineate any particular medical ailments other than those for which marijuana use is medically necessary, and that it is exclusively for the legislature to decide whether medical marijuana is only limited to a delineated list of ailments. I also pointed out that granting a medical marijuana sentence was not going to open any floodgates of medical marijuana sentences, considering that probably not many defendants present a physician’s opinion about medical marijuana for back pain. That is not to say that a physician’s opinion is necessary to obtain a medical marijuana sentence in Maryland, but that a physician’s opinion might better respond to any prosecutorial arguments against a medical marijuana sentence and judge’s doubts about such a sentencing request. The judge gave not only a $100 medical marijuana sentence for each of the two counts (for marijuana and paraphernalia), but also gave a probation before judgment with no probation period. Such a sentence lets my client put this case behind him, and to ultimately file a $30 expungement application. Certainly, Maryland needs to legalize marijuana as medicine, just as all other states must do. In the meantime, the medical marijuana sentencing option is better than nothing.